Welcome to the second blog focusing on business tax in our tax planning series. Last week we covered income and expenditure timings around your year end, to read that blog click here. This week we will look at ways of giving back, both to your staff and through charitable payments, while also potentially reducing your business’ tax liability. You may be thinking about how you can reward your staff for their hard work and commitment. The most common is to pay a bonus or similar reward. From the business point of view a bonus must be paid no later than nine months after the end of the business financial year in order to be eligible for tax relief. 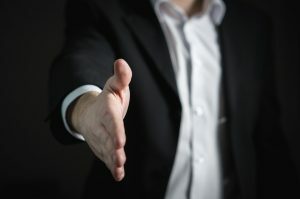 You need to commit to the bonus at the year end by communicating to your staff but if it helps with cash flow you can delay the payment to staff (after explaining that to them) for up to nine months. The payment of the related Income tax and National Insurance liabilities will follow in the normal way. All businesses should now be part of the auto-enrolment pension scheme. The regime sets out minimum contributions that must be paid, but an employer can pay higher regular contributions or occasional one off contributions. These do need to be paid before the end of the financial year of the business to obtain tax relief. Pension contributions are an attractive business tax planning idea as they reward employees as well as reducing profits subject to tax. From April 2019 the minimum contributions will be increasing by 1% to 8% of salary. The employer must make a contribution of at least 3% (currently 2%) with the employee making up the rest. The treatment of charitable payments differs depending on whether the business is incorporated or not. A Limited Company will deduct the value of the donations from its total business profits before paying tax. The donation can be in the form of money, trading stock or equipment and even by the supply of staff on secondment to a qualifying organisation. The donations cannot be in the form of a loan or be conditional on the charity purchasing goods and/or services from the company. In some cases you may be able to receive something in return, such as tickets to an event but there are limits to the value of such benefits. If you are not incorporated the tax treatment depends on the way the donation is made. It may be that gift aid is available or relief may be claimed through the individual’s tax return. We would advise speaking to your accountant before taking action on any tax planning opportunities to ensure these are the best for you and your business. For tax planning advice contact us and we will be able to advise on what is best for your circumstances.